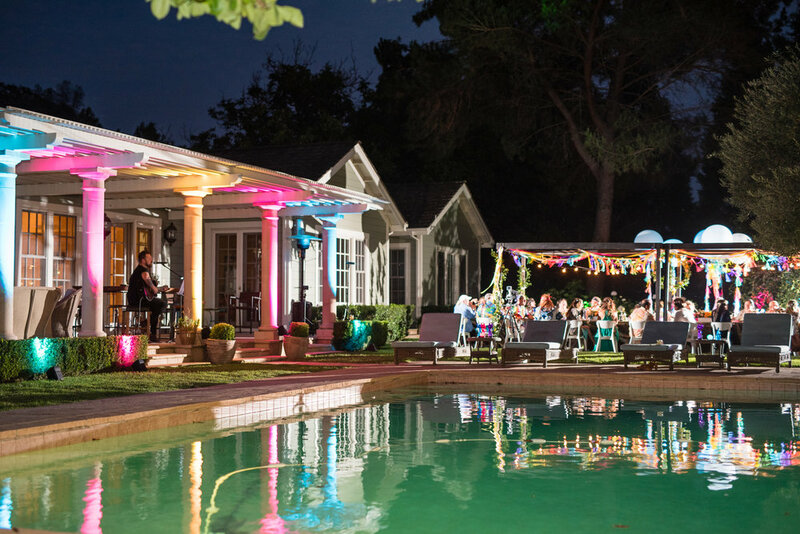 We planned a 50th birthday bash that was totally out of this world! 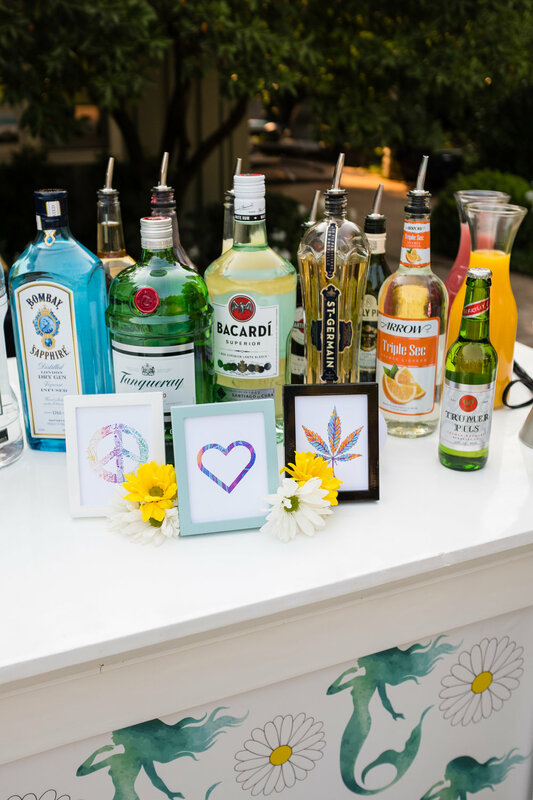 With a theme titled “Summer of Love,” guests were transported back to the 1960s! We brought psychedelic colors to the venue, decor and signage. 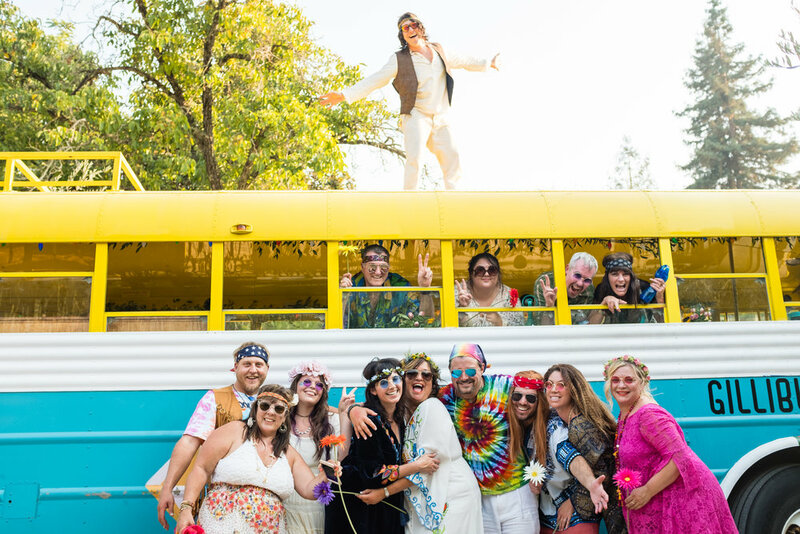 The bash featured peace signs made of greenery, sunglasses from the 1960s, and guests that dressed the part! 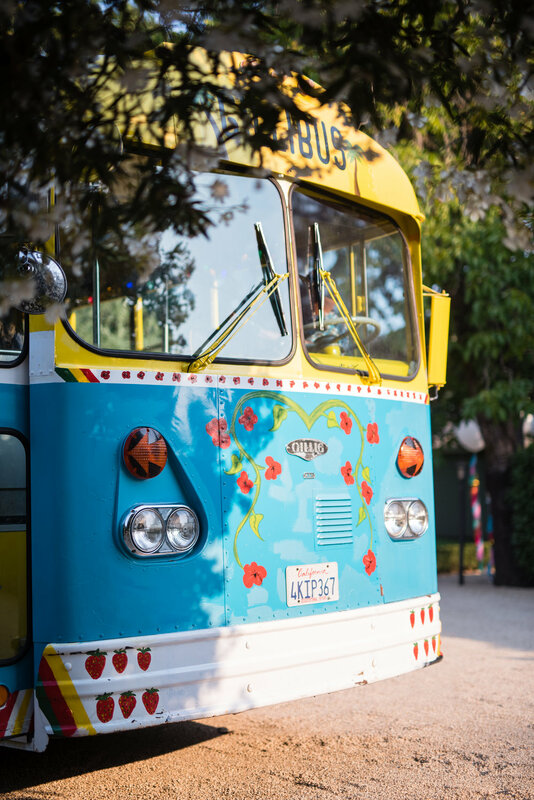 Gillibus provided a groovy bus that provided the perfect photo opportunity for guests! 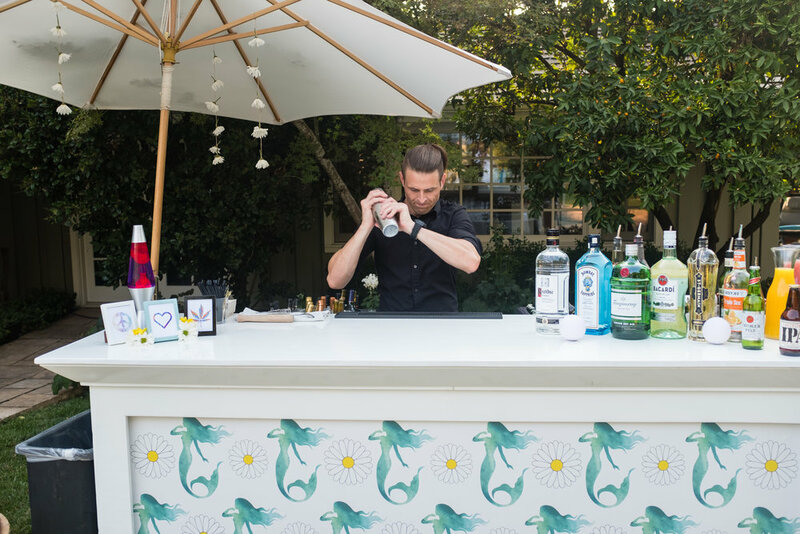 The intimate, poolside dinner was complete with the perfect linen from La Tavola and colorful ribbons hanging above the table. Guests had a stellar time and danced the night away! 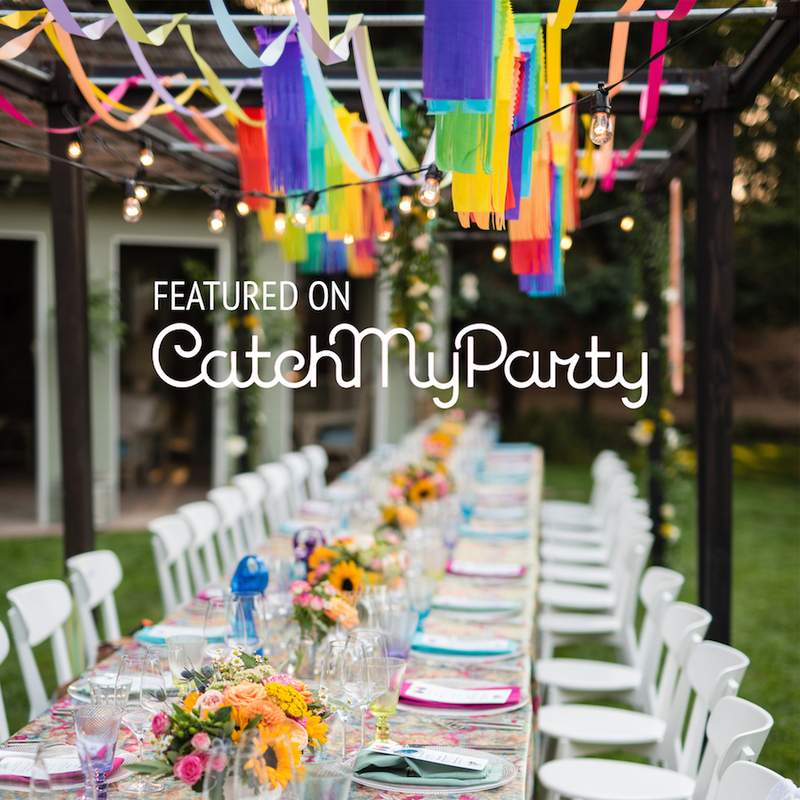 Click HERE to see the feature on Catch My Party.